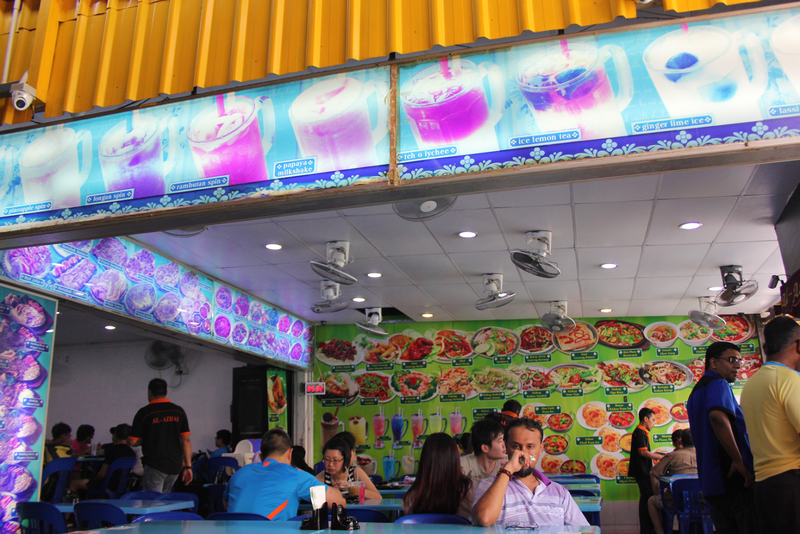 This stretch of restaurants along Cheong Chin Nam Road has a shadow of the roadside stalls in Malaysia or Indonesia. 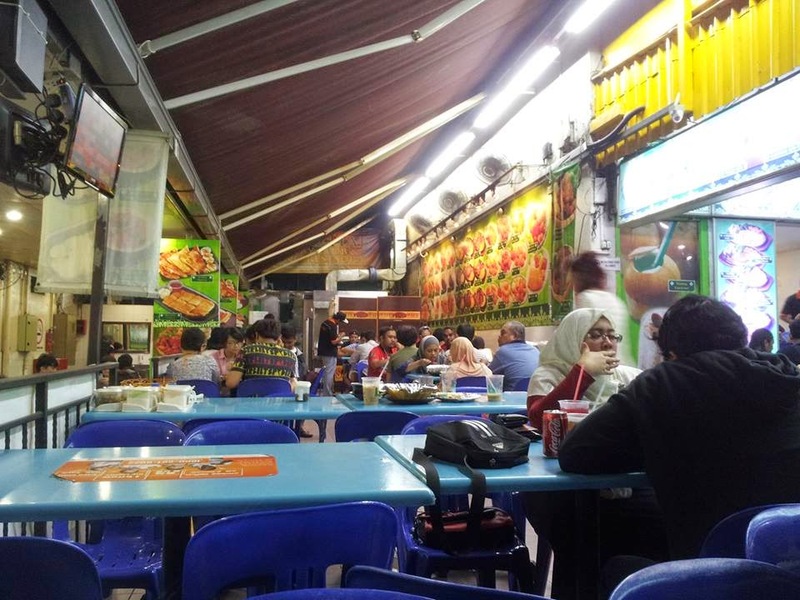 It has a distinctive and refreshing style as compared to the usual restaurants situated in shopping malls. 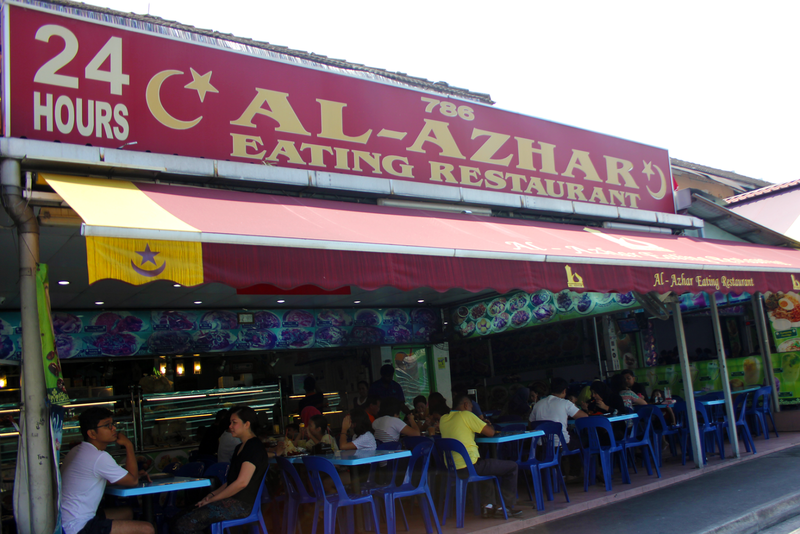 The most popular restaurant and famous supper place is Al-Azhar Eating Restaurant where you can get your pratas, murtabaks and thosais. It was one of those unforgiving Singapore sunny days. 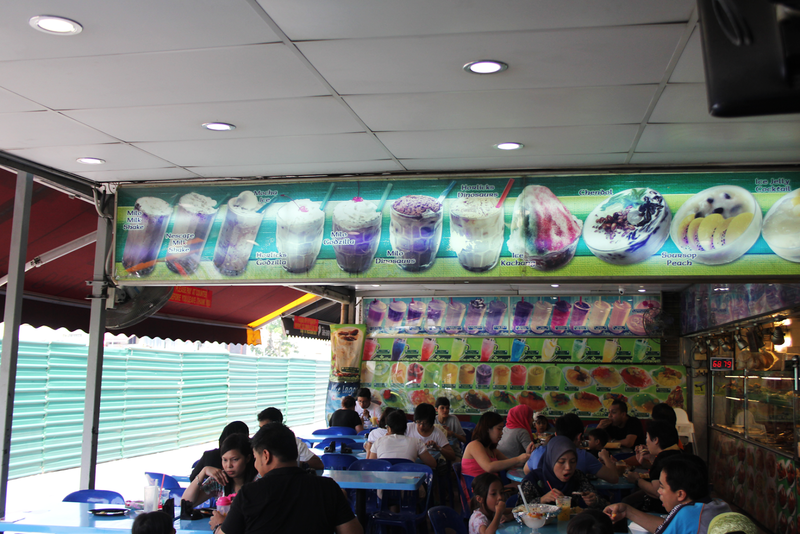 The afternoon heat was almost unbearable, but luckily, the milk tea ($1.60+) I ordered arrived quickly and quenched my thirst. 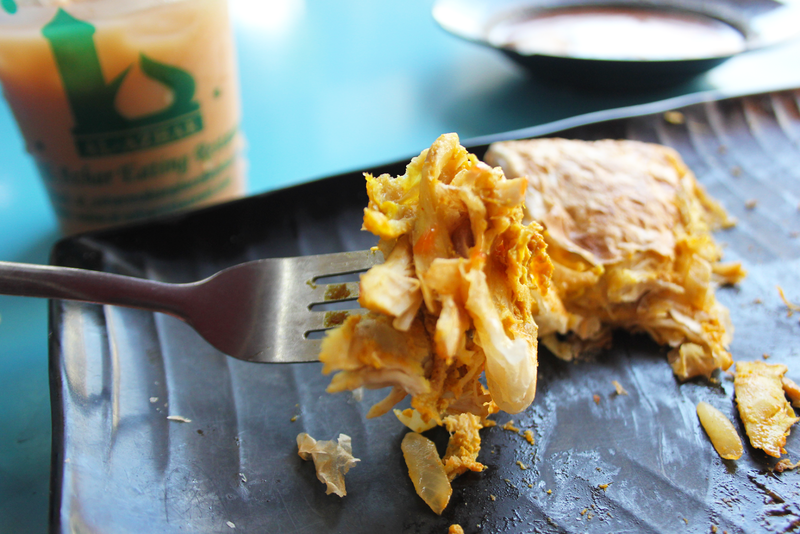 I ordered a chicken murtabak ($6+) to satisfy my cravings, and it tastes exactly like how I expected it to be. 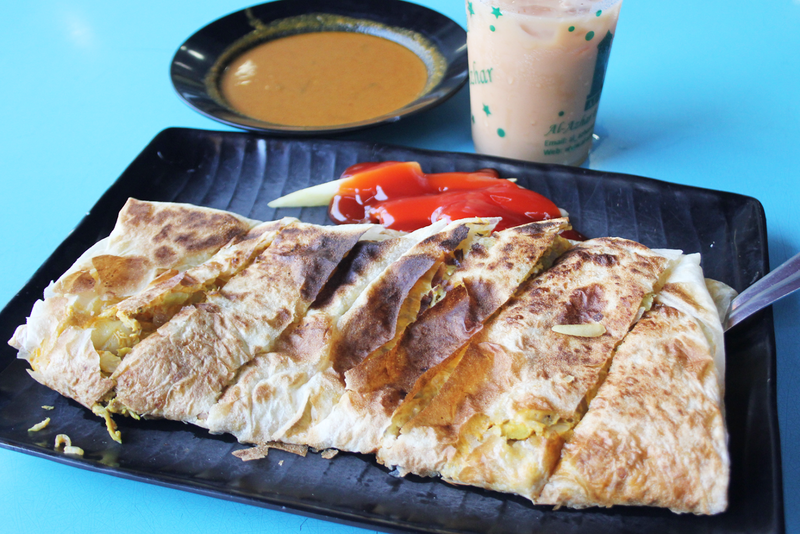 Fantastic job with the balance of crispiness and fluffiness of the prata and chicken, to which I mopped up with a good dose of the mildly spicy curry. I love how it tastes very traditional and hit the right spot just as I imagined it to be. 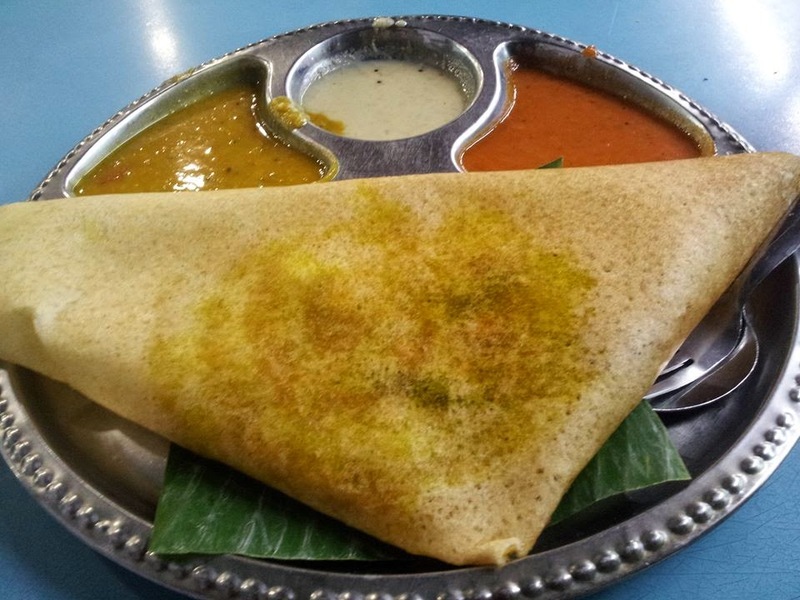 Here is the Thosai Masala, it has three different dips. The yellow curry on the left is the more standard sort of curry in curry chicken rice, it was my 2nd favourite. The white dip in the middle was a bit sour and other than not too much flavour. The red one on the right is my favourite! Strange enough since I usually don't eat spicy food but this is with the curry taste and a graceful tinge of spiciness in it. 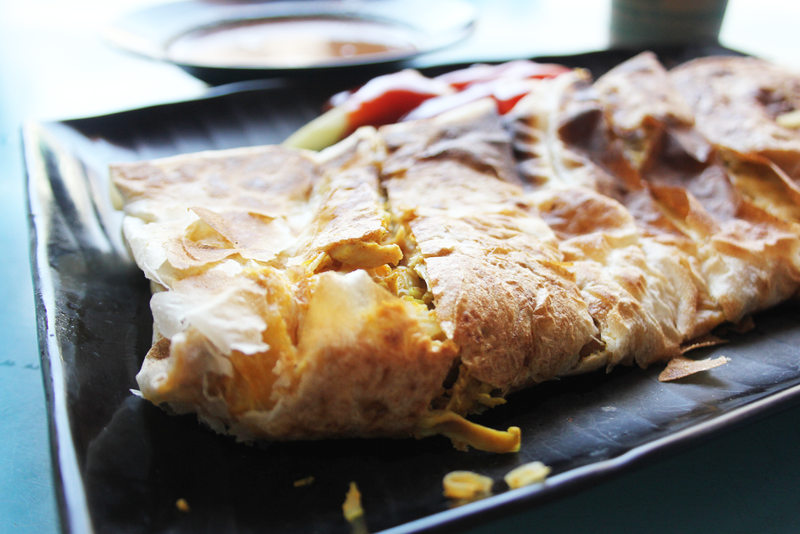 Love it when it goes with the masala dosa and the potato fillings! Super yummy and on my hungry days I definitely can finish one on my own even though it looks huge.